John Wilkinson was born on 2 May 1922 in the village of Antrobus, near Northwich in Cheshire. His father Thomas was a farmer, and he had an older brother and sister. His mother Ethel died of TB when he was only one year old. He went to Antrobus School, and left at 14 to work on the family farm. He joined the RAF as soon as he turned 18. His older brother signed up for the army but was refused because, as a farmer, he was in a reserved occupation. 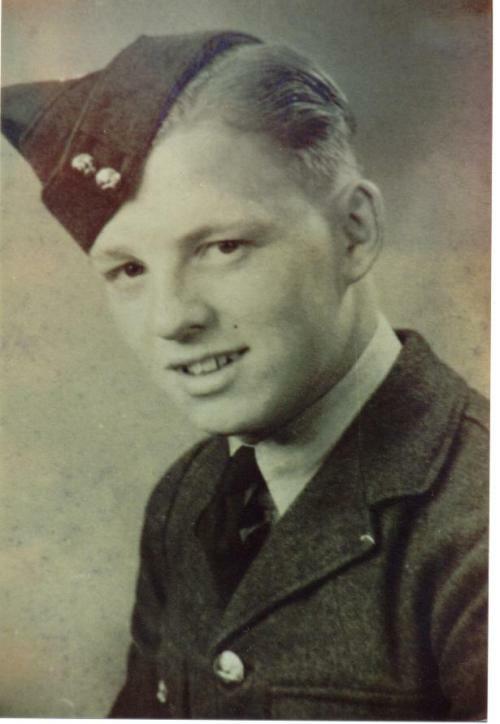 Wilkinson qualified as a wireless operator/air gunner in the summer of 1942. He was posted to 29 OTU in September, where he appears to have met up with pilot Vernon Byers and others in his crew. Together, they went to finish their training in 1654 Conversion Unit in December 1942 and were posted to 467 Squadron in February 1943. Byers flew on two operations as second pilot, but the crew’s first operation together was “Gardening” in the Silverthorne area on 9 March, and they would undertake just two further operations before transferring to 617 Squadron on 24 March. Towards the end of the training period in 617 Squadron the crew was given some leave, and Wilkinson travelled home to the family farm in Antrobus in time to celebrate his 21st birthday on 2 May. The two Canadians in his crew, pilot Vernon Byers and rear gunner James McDowell, who presumably had no close family in the UK who they could visit, went with him. Exactly two weeks after this birthday, on Sunday 16 May 1943, Wilkinson was in his seat in the body of AJ-K when a lucky shot fired from behind brought it down just after it had crossed the island of Texel on the Dutch coast. John Wilkinson’s body was never found and he is commemorated on the Runnymede Memorial, along with five of his colleagues. Thanks to June Morris for help with this article.